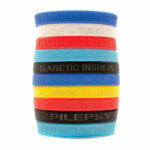 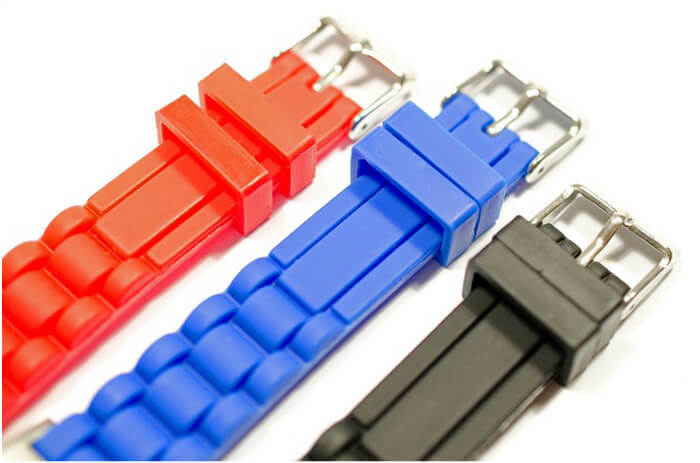 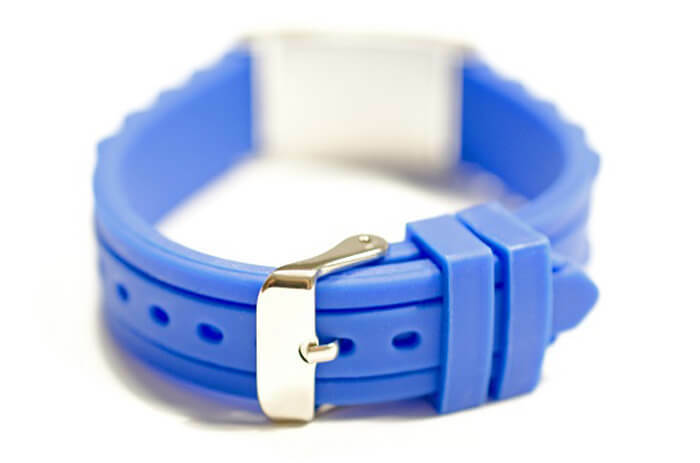 New Silicone Watch Strap band is adjustable from 15 to 25cm. 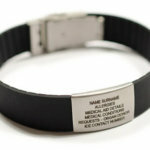 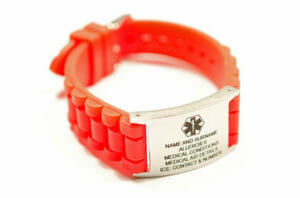 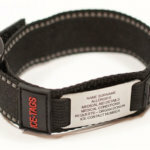 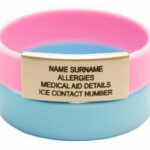 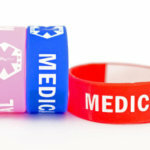 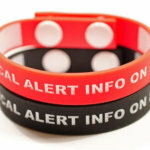 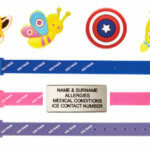 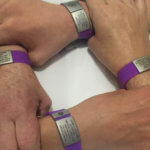 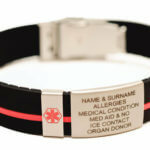 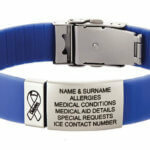 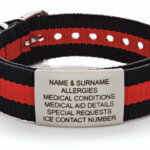 This Medical Wristband can take up to 5 lines of Emergency Identification Information with the Medical Logo OR up to 6 lines without the logo (please ensure you select No Logo and then complete the information for the 6th Line before adding this item to the cart). 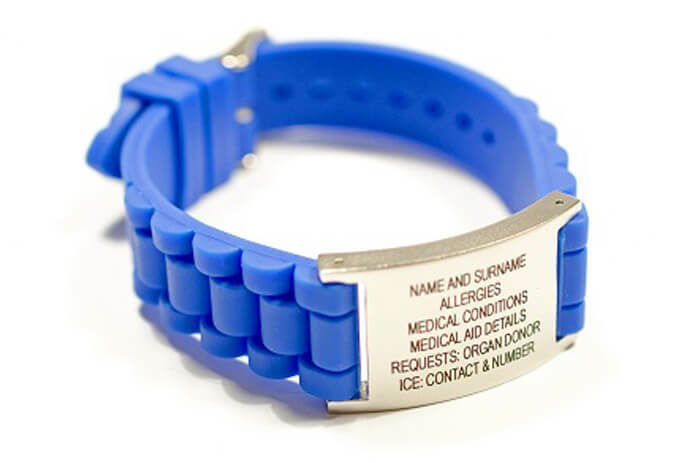 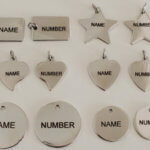 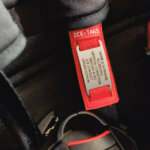 The information is Professionally Laser Engraved to the finest detail which will not rub off or discolour under normal wearing circumstances ensuring durability. 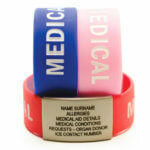 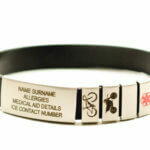 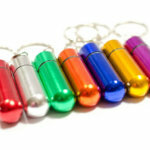 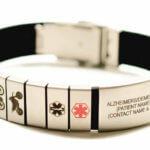 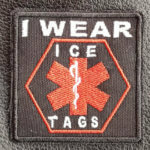 Medical identification is extremely effective especially should one be unable to communicate!